The Real Estate (Regulation and Development) Bill, 2015, is focused on protecting the few home buyers who can afford to buy homes but does not address the issue of high land prices, which is a very serious problem. This column demonstrates that the market prices of land in India are very high compared to fundamental values, and to market prices in developed countries. Consider Table 1. This is self-explanatory. The data on prices pertain to the period 2007-2010. Though the data may appear to be a bit outdated, it is from an authentic source. Also, the NHB Residex1 for residential property for 26 Indian cities has not appreciated in real terms over the period 2007-2014 (Singh (2015) and the references therein, and International Monetary Fund (IMF), (2015)). So the figures for absolute values in Table 1 from Chakravorty (2013) can be used at present. Note: ‘Possible price of land’ has been calculated using the following assumptions: Floor space index (FSI) of 1.5; construction cost of Rs. 1,000 per sq. ft. in 2007-2010; land cost = finished price minus construction price. Source: Table 1 in Chakravorty (2013). Columns C1 and C2 in Table 1 show apartment prices for the highest zone and the lowest zone respectively. Assuming that these zones correspond to ‘good’ location and ‘not good’ location respectively, and further assuming that the effect of ‘not good’ location on price is zero, it follows that prices in column C2 can be used as a proxy for the price of an apartment per se rather than its location. In what follows, the focus will be on column C1 and on the corresponding column C3; the latter shows that the minimum possible market price of urban land varies between Rs. 14-306 million per acre. Let us say that land is diverted from actual or possible agricultural use for the purpose of constructing urban homes. So, the fundamental value of land for urban homes is the opportunity cost of land that could have been used in agriculture. This, in turn, may be computed in two ways. First, we may consider the discounted present value of crops that can be grown on the land (after subtracting costs of inputs other than land). The maximum value was about Rs. 520,000 in 2010 for, what is arguably the most prosperous agricultural state in India, namely, Punjab (Chakravorty 2013). Second, again in Punjab, the rent for agricultural land varies between Rs. 15,000 and Rs. 53,000 per acre per year. If we consider the maximum value and ignore growth, and assume that the real discount rate is 5% per year, then, using basic principles of finance, the capitalised value of agricultural land is at present Rs. 1.06 million (53,000/0.05) per acre. At 2010 prices, this is equivalent to about Rs 615,000. This figure can now be compared to the figures in Table 1, which is for the period 2007-2010. So, we have two estimates for the maximum fundamental value of land – Rs. 520,000 and Rs. 615,000 per acre. Observe that these maximum fundamental values are very low compared to the prices of land in Table 1; the minimum price in Table 1 is Rs. 14 million. The fact that the fundamental value of land is low is consistent with the other fact that by and large farmers have low incomes that are derived from production of crops on land. Also, “A calculation shows that even if all of India´s population had a dwelling of 1000 square feet per family of 4, this requires only 0.76% of India´s land area, assuming a low FSI [floor space index] of 1.” (Ajay Shah 2008) So real estate development for providing urban homes does not, fundamentally speaking, face a shortage of land. Next, consider an international comparison. The ratios of price to construction cost of urban homes for 102 metropolitan areas in the US in the year 2000 are as follows: Average is 1.46, 90th percentile is 1.852 and the maximum is 4.06 (Glaeser and Gyourko 2008). A high ratio indicates a high price of land. Now, Glaeser and Gyourko argue that these ratios for the US are quite high. However, the situation in India in this regard is much worse. The comparable ratios in India computed from Table 1 range from 2.4 to 39.7 in the highest zone and 1.21 to 5.67 for the lowest zone. Consider another international comparison. The price of agricultural land in several European countries is shown in Table 2 below. These market prices are low as compared to the market price of agricultural land in India, where it can vary between Rs. 500,000 and Rs. 6 million per acre (Chakravorty 2013). The international comparison based on Table 2 uses market exchange rate. The over-pricing in India is even sharper if we use purchasing power parity instead of market exchange rate. Notes: (i) Currency conversion rates: 1 Euro = Rs. 65. (ii) Almost all figures are for 2006-07 Source: Chakravorty (2013). The cost of a home includes not just the cost of land but also other costs. Let us return to Table 1 and consider construction cost. If the market price of land is high, then indeed, high-rise construction is an optimal choice. However, if the market price is close to the fundamental value of land (that is, low), then there would be, except in a few places, hardly any rationale for land-saving high-rise buildings for which the cost of construction is higher than in the case of ordinary single- or double-storeyed homes. So, the estimate for the cost of construction at Rs. 1,000 per square foot for the period 2007-2010 (as mentioned at the bottom of Table 1) is not low at all for the purposes of this analysis. Even if other costs like the true cost of development and the true cost of marketing are considered, the substantive conclusions here will not change. Of course, there are also various transfers masquerading as economic costs in the pricing of real estate but these have to be ignored in computing the fundamental values. Why does over-pricing of land happen? Is it necessarily a bubble? What can be done about it? All these are interesting questions but these are outside the scope of this column; these are explored in Singh (2015). The Real Estate (Regulation and Development) Bill, 2015, which the Parliament is considering at present, is focused on protecting home buyers who can afford to buy homes in the first place. It does not address the issue of high land price. Unless this is done, housing problems are here to stay for a very large segment of the population. NHB Residex is an index of prices of urban residential properties in India. It is compiled by the National Housing Bank (NHB) from 2007 onwards and now covers 26 cities. This means that 90% of the ratios have a value below 1.85. Chakravorty, Sanjoy (2013), “A New Price Regime - Land Markets in Urban and Rural India”, Economic and Political Weekly, April 27, XLVIII (17). Glaeser, Edward L and Joseph Gyourko (2008), Rethinking Federal Housing Policy - How to Make Housing Plentiful and Affordable, The AEI Press, Washington. International Monetary Fund (2015), Global Housing Watch. Shah, A (2008), ‘Real estate – an asset class?’, Ajay Shah’s Blog, 7 February 2008. Shiller, Robert J (1981), “Do Stock Prices Move Too Much to Be Justified by Subsequent Movements in Dividends?”, American Economic Review, 71(3), 421– 36. Singh, Gurbachan (2013a), “Is India Hedged against Systemic Risk? An Attempt at an Answer”, Review of Market Integration, 5(1): 83-129. 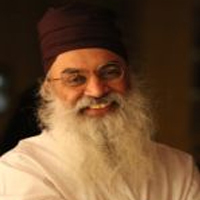 Singh, Gurbachan (2013b), “Real Estate Price is Reversible”, Economic and Political Weekly, December 7, XLVIII(49), 66-67. Singh, G (2015), ‘Land Price, Bubbles, and Permit Raj´.